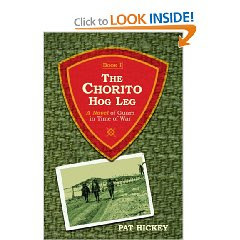 My novel The Chorito Hog Leg, Book One: A Novel Guam in Time of War concerns the liberation of Guam in World War II and fuses Chicago and Guam history. The title comes from a place where hundreds of American teenagers died in July 1944 and an antique revolver. The revolver is not that important, but Chorito Cliff was and is to a generation of men and women who are disappearing at too great a rate. Chorito is the name of a cliff overlooking the Asan beaches on Guam. In 1944, the 3rd Marines assaulted Chorito Cliff and Bundeschu Ridge. A Hog Leg is the nickname for an 1860 Colt .45 Revolver. While working on the Every Heart and Hand: A Leo High School Story, I was struck by how many members of the Leo Class of 1943 served in the Marine Corps and also in the Guam Campaign. Likewise, it struck me that almost nowhere in popular culture has room enough been made for the most loyal Americans - the People of Guam - The Chamorros. I started doing some homework and the result is a historical novel in two parts. Part One covers the time of April 1944 to August 10, 1944 and introduces some of the fictional and historical characters who figure in this work. Within the carnage of battle is a war pitting a young man, Tim Cullen Leo High School '43, against his battalion commander over the possession of an 1860 Army Colt .45 Hog leg revolver which can be traced back to Capt. Myles Keogh who died with Custer. The last owner is the doomed Lt. Jack Buck of Giddings, TX. Buck will be killed in the taking of Bundeschu Ridge, but Jack Buck had exacted a promise from Pvt. Tim Cullen of his platoon to keep it from the hands of Major Lucas Opley, an up from the ranks Marine of legend, and return the Colt to his family in Texas.This story also brings in life in Chicago's south side, in particular the people who lived along 79th Street in the 1940's. Historical personages like some of the great men of Leo High School,Lyndon Johnson, General Roy Geiger, Col. Red Mike Edson, Father Jesus Duenas, Radioman Paul Newman, Ensign Johnny Carson, Edward J. 'Spike' O'Donnell, Mayor Ed Kelly and Brother Francis Finch mingle with fictional characters Tim Cullen, Billy Higgins, Lucas Opley, Dr. Ted Tanaka and Betty Cruz. Life in St. Sabina's Parish and along 79th Street in Chicago is recreated to the best of my powers. My narrative is the intrusive narrator that was used to offer commentary on the action and infuse a moral tone. At the outset, I wish to apologize for any typos that sneaked past my tired old eyes - placing an 'and' where I mean to place ad 'an' - writers are not the best editors. 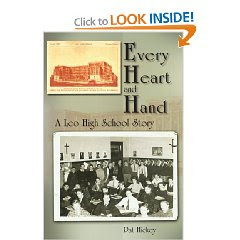 The story is about a young man who developed a sharp moral sense in his neighborhood and a devotion to his word to others - fashioned in the pews of St. Sabina Church, the halls of Leo High School, the playing surface of Shewbridge Field and along 79th Street. Cullen's values and sense of honor is tested by circumstances and the hidden agenda of an otherwise good man, Maj. Lucas Opley. Parallel to Cullen’s ordeals with the 3rd Marines and suffering on Japanese occupied Guam are movie house operator Juan Cruz and his family, as well as an exiled Japanese American Dentist and his movie star wife. Exacting the cruelty is the oafish Boson Otayama and the American educated Lt. Kato. Awaiting liberation are also such historical figures of Guam’s history as Father Duenas and Pastor Sablan who heroically protected American George Tweed from the Japanese for two years. The touchstone Hog-leg revolver, in its shoulder holster, will be taken from Lt. John A. Buck’s body by Cullen at an aid station on Guam’s Red Beach 2 and cause Cullen no end of problems. The Battalion commander wants the Colt Hog-leg. Cullen hangs on to the weapon but never uses it and is repeatedly ordered by Maj. Opley to hand it over. Opley wants it for himself. This through-the ranks career officer will undo himself through his own devices and be sent home under a cloud after years of service to the Corps after the Guam Campaign. 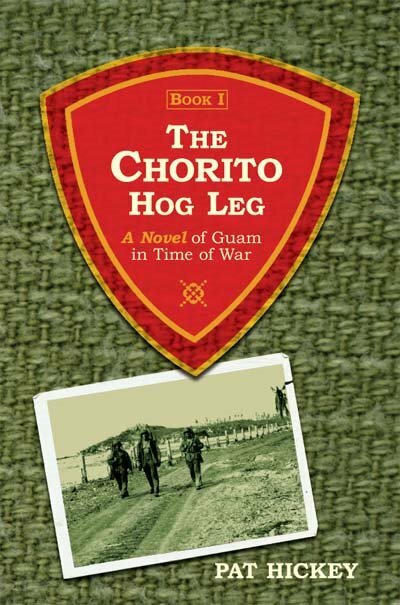 In the Fall of 2007, the second book of The Chorito Hog Leg story will follow the adventures of Tim Cullen through the mopping-up actions on Guam, the Iwo Jima Campaign, the sinking of U.S.S. Indianapolis, the Atomic Bombings of Japan, the beginning of the War Crimes Trials on Guam and return Cullen, through the great Pacific Typhoon of 1945, to Chicago. Again, the author will employ the ‘intrusive narrator’ technique used by William Makepeace Thackeray in his 19th Century historical fictions. I hope that I do some justice to the generation who served in World War II and to the great people of Guam.